Date: Jan 23 2019, 8:30 a.m. - 2 p.m. 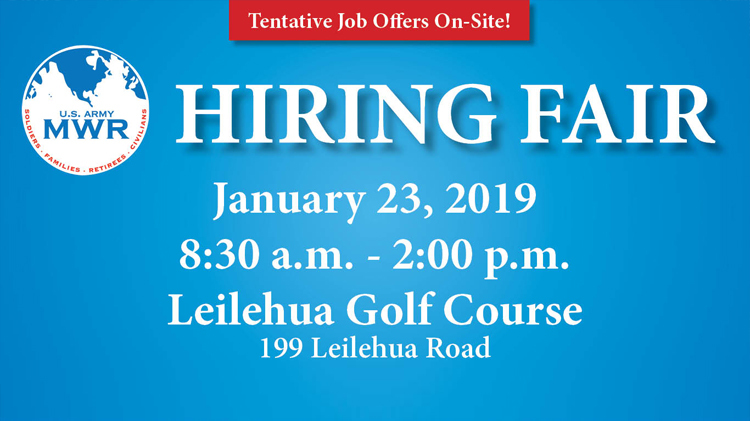 Note: Applicants who participate in the Hiring Fair will receive first consideration. All job offers are tentative pending clearance of background checks or consideration of preference eligible candidates.